The last light of the day creates an unbelievable glow on this hillside above the Big Cimarron Valley in the San Juan Mountains of Colorado. 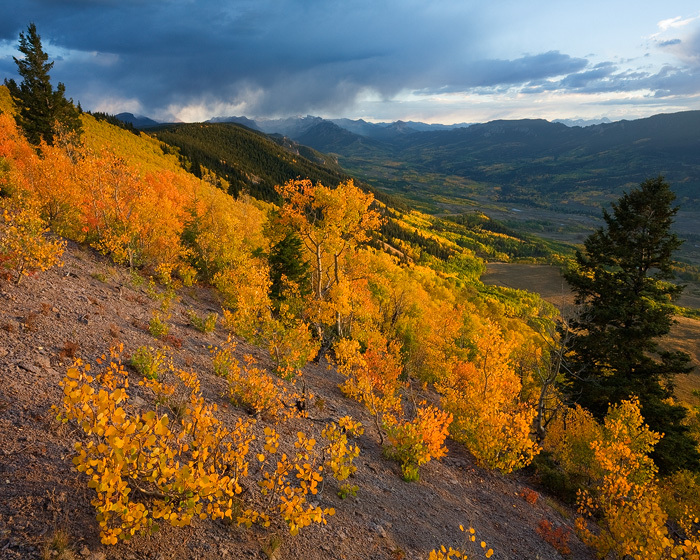 This sunset show was the last sunset for me on my 2008 trip to photograph and experience the beauty of the autumn aspen show. Photo © copyright by Jimmy Gekas.